Does it take a certain amount of goading (perhaps with a stick) in order to get you to smile properly for a pic because the words “say cheese” just make you want to strangle someone? Or perhaps there’s not much joy in your life and you’re just not the smiling kind. You probably have a smiling strength of around 20 percent. 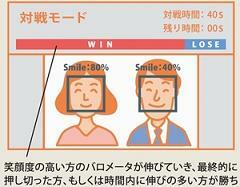 20 percent of a smile – what does that mean you say? 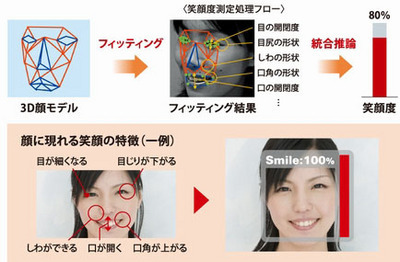 Well, a Japanese company are the smile obsessed people behind Smile Scan, a bit of software designed to measure movements on the key points on your face to detect and measure the degree of your smile – think edges of your mouth, nose and eyes. It then displays a score based on the strength of your grin with 100 (like in most cases) being the highest achievable score. So why would you need such extreme software crammed into your photo taking equipment? To separate the misogs from the happy go lucky folk? Nope. The company behind it says it will be useful for err… training people to smile – especially in jobs where a perfect smile is imperative (think dentists, shop assistants, receptionists).